Spring has sprung! Which means flowers, warmer weather and of course spring cleaning. 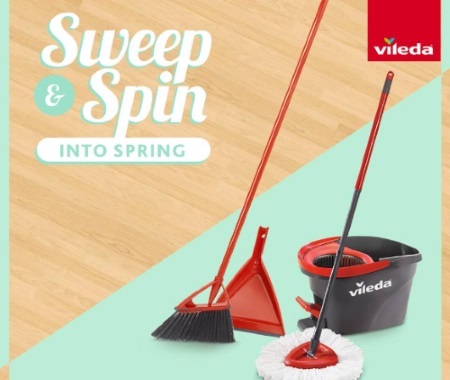 Vileda has got you covered with what you need to get started! This week, they're giving away 5 prize packs that include our EasyWring Spin Mop & Bucket System and Oskar Broom with DustPan! With this duo, it has never been easier to have clean floors.